The white Folding Highchair is designed to fold flat for easy storage. It includes a full safety harness, tray and footrest. 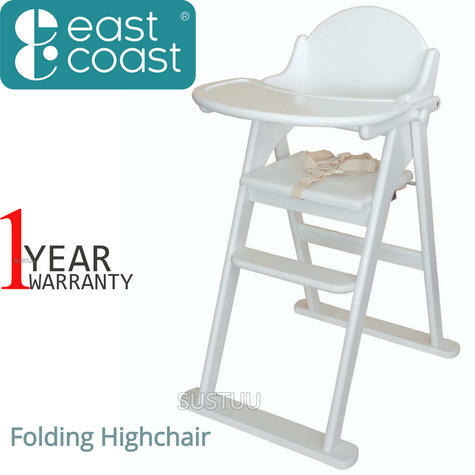 It's suitable from 6 months. 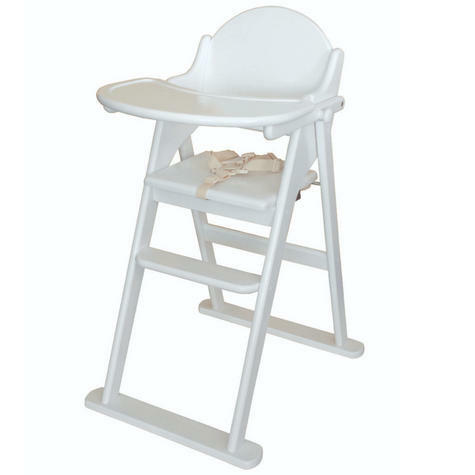 The highchair is made with solid rubberwood with a white finish.